Welcome to April Clarity crafters! We changed the clocks last weekend and it's great that the evenings are now getting lighter. This also means that summer is on its way too, crafting in the evenings with natural light instead of relying on our lamps. Now we just want some warmer days and more sunshine! How many of you got to visit the Clarity gang at the NEC? Just a reminder that Barbara is on our TV screens on Create and Craft between 09.00 and 11.00 on Sunday 5th April. As usual there will be a live chat on the Clarity facebook page whilst Barbara is crafting away on the TV. Make sure you've got a cuppa ready and waiting so that you don't have to leave the sofa! Hands up who fell in love with the Wee Folk sets? Me, me, me!!!! 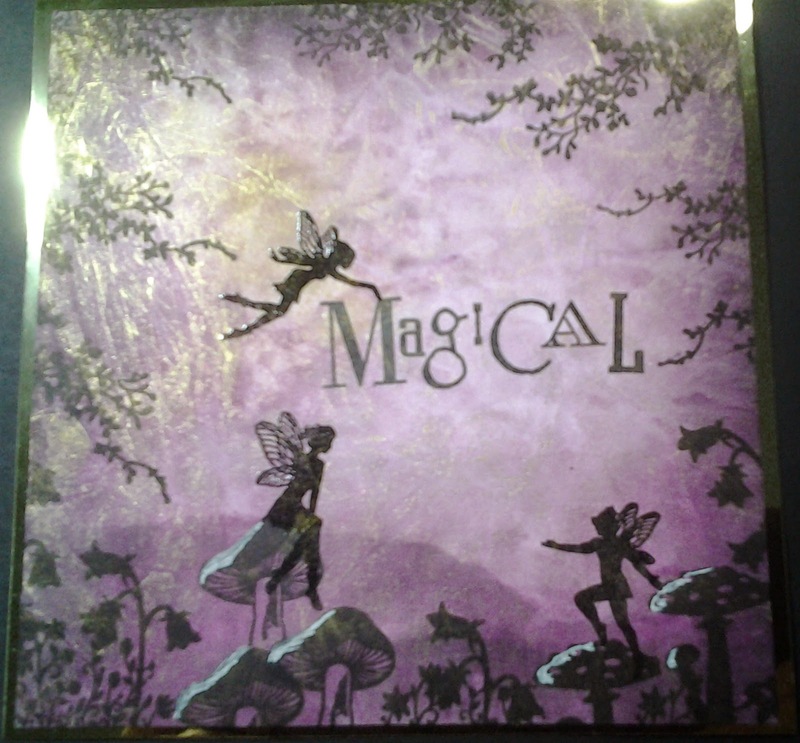 There are now four sets in this collection which includes children, adults, fairies and pixies all in silhouette form. They are so versatile and definitely a must have in our craft stash. 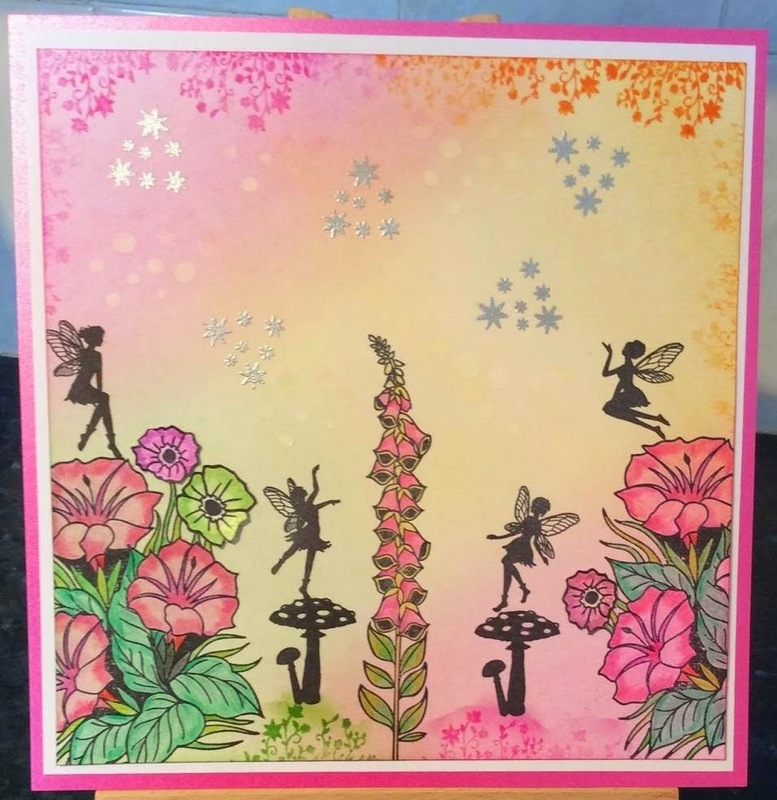 This challenge is based around these four sets and can be used in conjunction with any of your other Clarity stamps and stencils. 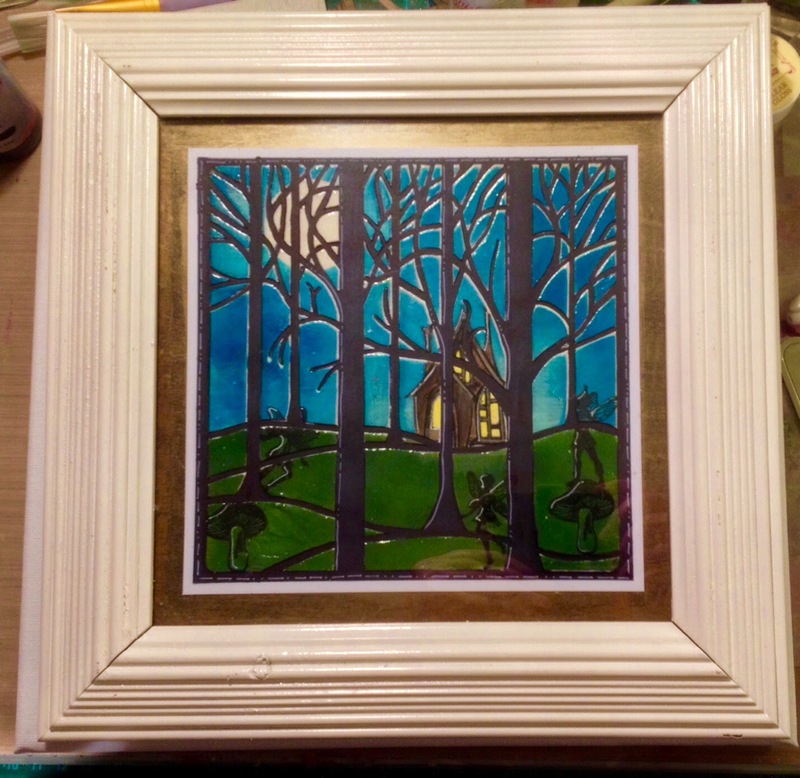 Your project doesn't have to be a card, it could be a canvas or a piece of altered art as long as it includes the wee folk. Hello my name's Angela or Angie as many know me and it's with some great trepidation that I accepted the guest designer spot. 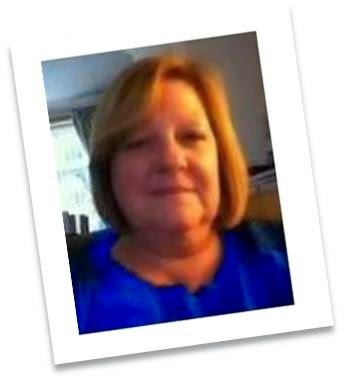 After much persuasion by family and friends, including gentle nudging along by Sazzle, I decided to add this post and tell you something about me. I was so amazed and excited to have won the February challenge that for ages I was just stunned! 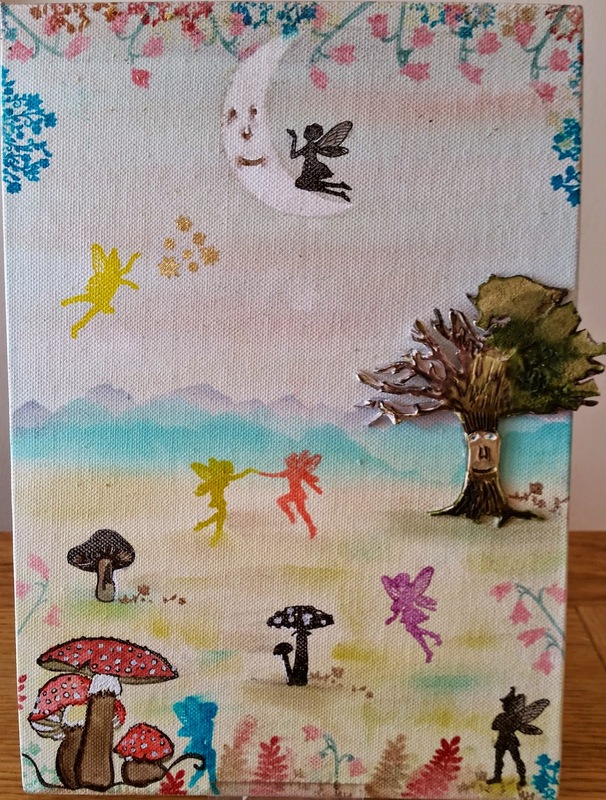 I had made the card very quickly one night when I had some friends round for a card making session and decided the following morning to send it in. With such beautiful cards entered each month I thought it had no chance, well there you go, what a surprise! I'm in my 60's now, a retired registered nurse, married, mum of two grown up daughters and a son. I have 4 lovely little grandchildren and I love drawing and making crafty items with them. I have always loved making things for as long as I can remember, learning to knit, crochet and sew in my teens. Later I would knit and sew things for the children as they were growing up. I loved art at school but never felt I was good enough to pursue it as a career, even though I gained a good 'O' level pass! It's something I always promised myself I would do when I had finished nursing and the family had grown up. I got hooked into card making when my daughters were getting married and made all the wedding invitations etc for my second daughters wedding in 2006. 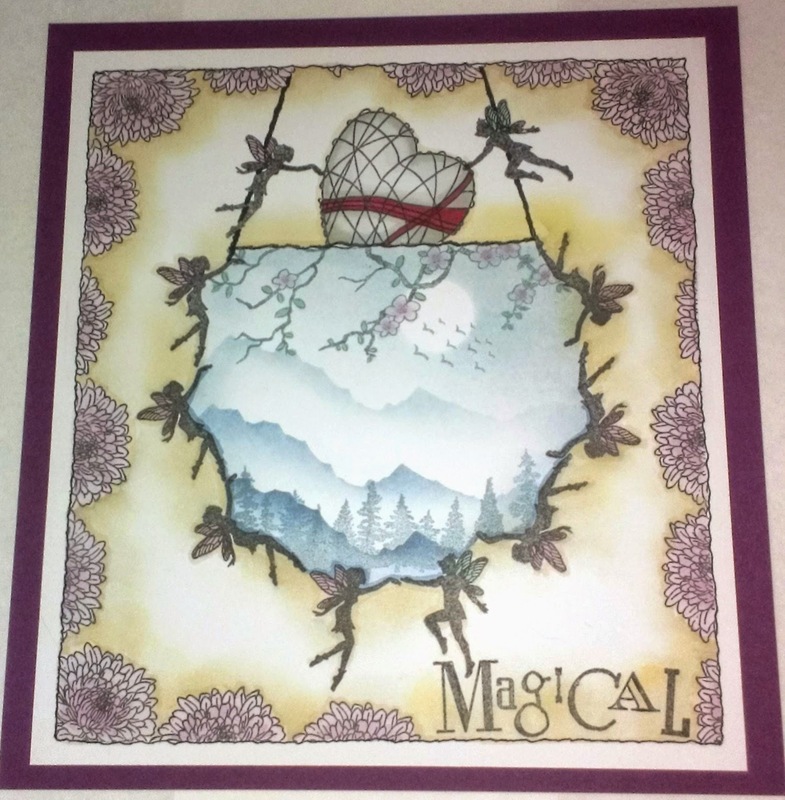 Over the years since, my card making has hit highs and lows particularly due to family pressure and the closure of 2 craft groups I was attending. I had long gaps when I left off then I would pick it up for a while. I was trying to hold down a job in a busy clinic, help with my two daughters babies, who came within 6 weeks of each other, help my builder husband with his book keeping and care for my elderly mother. Eventually I took early retirement as my mum's needs were increasing and I had back problems that made my work difficult. My mum was in her 80's when she was diagnosed with bladder cancer, but about 6 years ago she became steadily worse with a rare form of dementia which made her very aggressive so I hardly had time for myself at all. 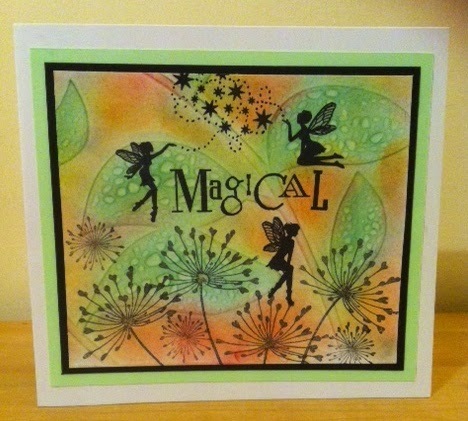 When I did though, I found it very relaxing and therapeutic but my card making hadn't progressed very much. Mum became much worse over the last two years and sadly died at the end of August last year after a lot of suffering and some time in hospital. 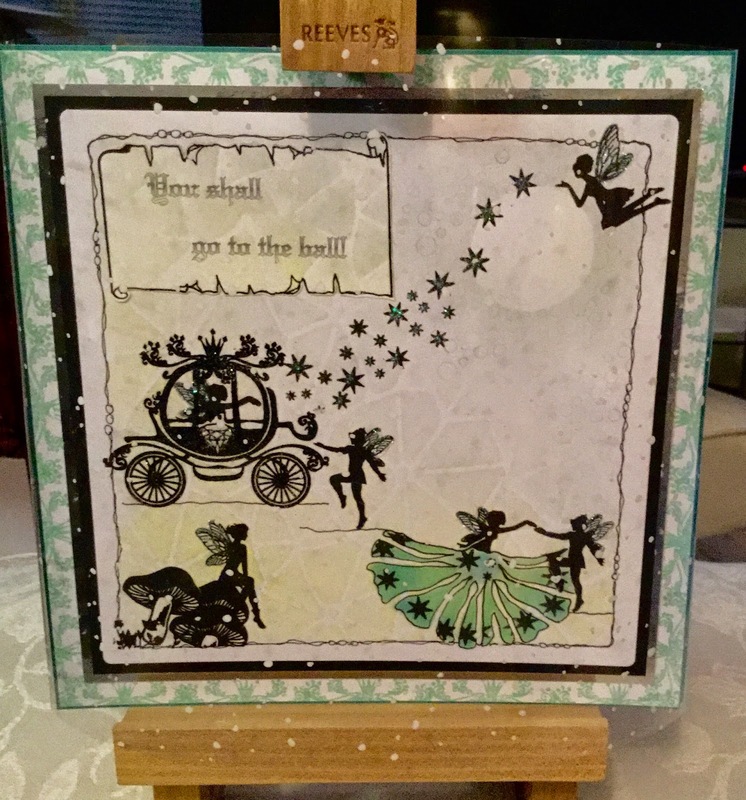 I didn't feel like making cards for a while but attended the Clarity open day at Catterick last September, which took me out of the doldrums and gave me the inspiration to get going again. I've never been a messy arty crafty person, usually preferring simple neat designs but I'm pushing myself out of my comfort zone now and I'm learning a lot from others and Barbara's YouTube projects. I have always loved Clarity Stamps and have followed the TV programmes over the years. 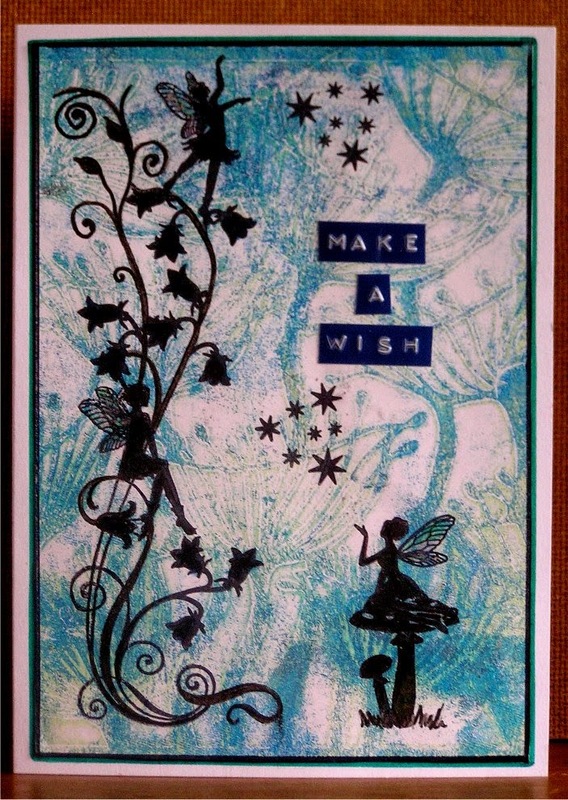 Stamping is my favourite hobby, but I love the stencils and gelli plate technique too. My thanks go to all the wonderful crafters out there that are part of the Clarity family and of course Barbara. Angela beautiful colours and a lovely piece of art. 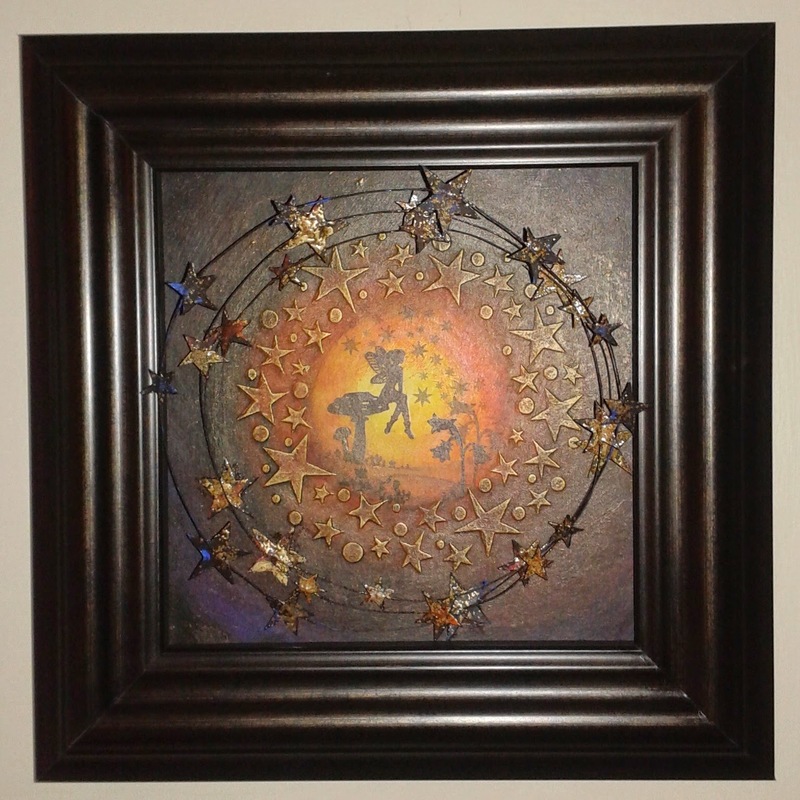 Well done Angela on creating such a gorgeous piece of art. The colours are perfect. Love it! Thanks everyone for your kind comments, feeling much encouraged! These are great stamps to work with Maria aren't they. It was fun creating with them for this month's challenge. Thank you, Jeanette. Happy crafting! Thank you Jeanette. I'm glad you getting inspiration. Gorgeous makes by the whole DT once again. Such a lot of uber talented people all in one place. Off to hunt out my wee folk. Thanks Sam, love those wee folk. Loving these wee folk stamps and looking forward to seeing all the new Clarity "stuff" on Sunday. 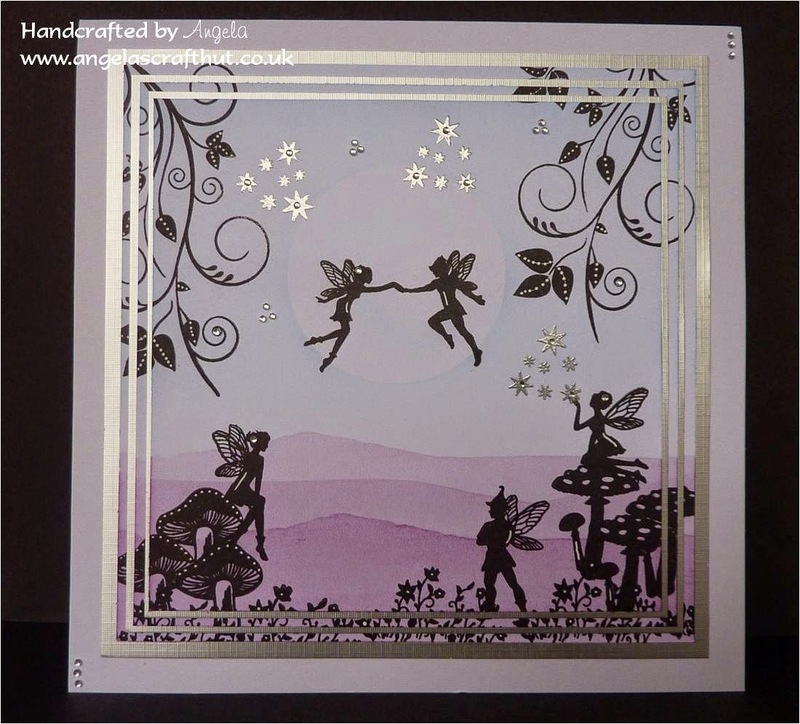 Well not normally known to blog on the challenge blog, but I have to say there are some wonderful designs this time (as always) - what inspiration from the Design Team and winner of last month, Angela. I love the wee folk, especially the fairies, so will enjoy the challenge this month even though the examples above will be hard to beat !! Thanks for your kind comments Moyà. I'm sure you'll have as much fun as we all did with these fabulous stamps. They are so versatile. Looking forward to seeing your work.